How to Maintain Positive Thinking with 16 Little Things? How to Improve Positive Thinking? Be who you are and say what you feel, because those who mind doesn’t matter and those who matter doesn’t mind. – Dr. Seuss. This is the natural characteristic of the man. These both qualities had their role in the survival of human race. The negative emotions associated with negative thinking are inevitable when facing dangers such as encountering a dreadful lion. Here, evoking the positive thinking such that the lion will respect your intimacy and kindness ends in stupidity. As the civilization and lifestyle evolved over time, these qualities didn’t change much. They had a shift from the physical realm to the mental level. Today, for some people, the positive thinking is not in its natural path. The negative thinking lost its survival significance or not much applicable as that of the primal man. If unbalanced, it disrupts the positive attributes needed for a successful life. There are also some people who see only the negatives in the good things that happened to them. For them, the excitement won’t last long. Soon or later, they fall under the fear of loss, obsession, worrying about maintenance and protection. Some people take the negatives happened to them in a positive way. It is not consoling them or forcefully invoking positive thinking. It is a learned way as not to get very much bothered about anything. It is by having a strong faith and better vision over the things. We have heard a lot about some of them. When a person asked about Edison’s failures in inventing the light bulb, he replied, “I have not failed. I have just found 10,000 ways that won’t work”. For him, it was an inspiration to explore – what is the next. These people look directly the positive attributes in the negatives. It is not completely discarding the negatives where it is less likely to degrade them. It is natural that we feel frustrated with the failures. The people with the endured positive mindset are those who set a higher emotional baseline. So they could easily bounce back from the failures they encountered in life. The effects of negative thinking in long-term lower self-confidence, self-esteem, affect our productivity, performance and have an adverse effect on the mind and body. Instead, positive attitude increases willpower, enhance mood, attune with the needed mindset, and helps to find the contentment and happiness in the little things. You need not hold on with the positive thinking always, however it becomes inevitable when life get stuck where it becomes the only aid. Certainly, it is the positive thinking that presents you in the fullest. The overconfidence put you down later. Believing in you doesn’t mean blindly believe in your goals and purpose. It is the real faith you keep in yourself when things go wrong. This faith provides the inner strength and courage to overcome those hard moments. It doesn’t dump you in the negative feelings and gives hope for the bright side. You cannot build a wall with the thin air. You should clearly analyze your strength and weakness. Your approach towards the needs and your abilities to hold onto it might be different. The weakness doesn’t remain there forever. You have to develop skills to overcome this weakness or something that substitute them. This weakness is the obstacles towards the goal. If you are falsely building your strength on the weakness, then you are on the wrong path. You cannot have a sturdy positive belief if your weakness often disappoints you. Shooting arrows into the bushes doesn’t get you the prey. You should have the clear target to want it. Many have goals in their life. Yet, some of those are the blind ambitions without proper vision or visualization. You should have a definite purpose and measurable goals in life. This will help you to have a solid optimistic outlook in your life. You will soon recover from the setbacks as the hope lifts you up whenever you fall. Having optimism is the way to cultivate positive thoughts. Some people fail to assign purposeful and measurable goals in their life. It is one of the reasons for the lack of positive thinking. Most people work towards their goal. Yet, the perseverance, the ability to absorb the risks need not be the same. Some lose hope the halfway, it is the point where their mind takes a U-turn. And, few become perceptible to the depression. When their targets become unmanageable, the plans and proceedings remain only in the dream. Dreaming on your vision and mission without taking action do nothing. Later, it will only bring negative feelings in the mind. Even taking small steps towards your vision have positive outcomes. The only way to get rid of negative thoughts is by taking necessary actions. Habits are an integral part of our life. If we worry for an extended period of time, not only our physical appearance changes, our brain too. Thereby, the negative emotions become part of our life. Habits do not develop overnight, but you can lay the foundation for a healthy habit. Persistent involvement in a set of actions for a particular period of time is the way to its fruition. The neuropsychologist says that your brain needs approximately 21 days to develop a new habit. The psychophysical attribute of the habit is its strength. If you cultivate a habit of positive thinking which is your natural instinct, you become less prone to the negativities. Beyond doubt, the mental state associated with the honesty and ethics doesn’t put you down. Living with integrity is the simplicity and the hardest to maintain. Even a little single thing you did has a tremendous result. Have a sense of gratitude in life. It can boost your positive attitude in life. Develop a higher emotional baseline where you would easily recover from the mental shifts. This will make you flexible to cope with the bad and good situations. Nor the days are the same, so as the life currents. Positive thinking is meager and hard to possess because you need real factual things to hold on. The only possibility is to hold on the virtual facts that are true to be valid. The negative thinking becomes easy because you have a lot of bad circumstances to hold on. Remember, there is only a success to many failures. Just don’t blindly believe only in the matters. If so, life soaks in superstitious. Have the concrete facts that support your views. Sometimes, the appropriate option you have is to hope for the best and prepare for the worst. Be with the people who lift you higher. Imagine, if you had a chance to spend some time with the Warren Buffett, Dalai Lama - certainly, you would align some of your thoughts with their mental state. Let the negative minded people don't consume more of your time. The constant engagement with them indeed aligns your thoughts with them. Keep the level of procrastination as lower as possible. Procrastination is the aid for negative thinking. Procrastination is not bothersome unless it has an adverse effect on you. Just following few principles in life as noted in article “20 Steps to Stop Procrastinating and Increase Productivity”, may help you to keep it under control. How would you feel if you lost interest in the life activities? What would be the state of mind if you lost enthusiasm in everything and even in the life itself? Your enthusiasm depends on how you respond to the different circumstances in life. Harvard psychologist Dan Gilbert says that it is our own choice to feel relaxed and happy or anxious and sad. It is our responsibility to set the foundation for the emotional balance – the positive thinking becomes obligatory. We all know that mantras are the positive affirmations. Words have power, even the positive affirmations. You have to be aware of the other side of the affirmations too – as mentioned in the article “6 Reasons Positive Thinking Doesn't Yield the Desired Result”. The law of attraction is famous and its principle just relies on positive thinking. However, integrating it in the life needs has certain strategies. 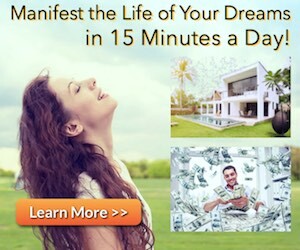 If you would like to implement the strategies of laws of attraction, you could find something interesting in this 15 Minute Manifestation. The words and thoughts filled with positive emotions are worthy. This should be your mantra. Hours of meditation brings nothing unless your meditation is effective. The essence of meditation relies on how effectively you use those few moments of meditation to really connect with you. A research conducted on the music and the thinking style showed that the music instantly affects your mental perceptions. Background music played while displaying a face determines how we react to those tones. The study showed that when they played the high nodes in the background people perceived the face as sad. And, when they played low nodes the face tend to appear happy even though the displayed face was neutral throughout the experiment where they only changed the background music. The low tones tend to evoke sad feelings and high tones induce the warm ambiance. Mental state and body postures are interrelated. If you feel depressed, anxious you involuntarily form closed body postures. The real problem comes when there is no apparent reason to feel anxious or stressed where your body postures put you in that bad mood thus inducing the negative thinking. This would have an adverse effect when there is an utmost need of positive attitude in social settings. Having a positive attitude towards everything is an advantage. Cultivating such habits is the choice of each person. Stop condemning about your bad situation. Instead, speak more about the positive things happened in your life. Use words that are enticing to everyone. For example, if someone has inflicted or troubled you, stop commenting on it more often with others. It will strengthen only your negative mindset. Speak more about the good deeds of others more often, you can feel the change. It is the psychological nature of mind. The little things listed above are few of the ways not to end up with the consecutive negative thoughts in the down times and stir up the mind with the positive thinking.